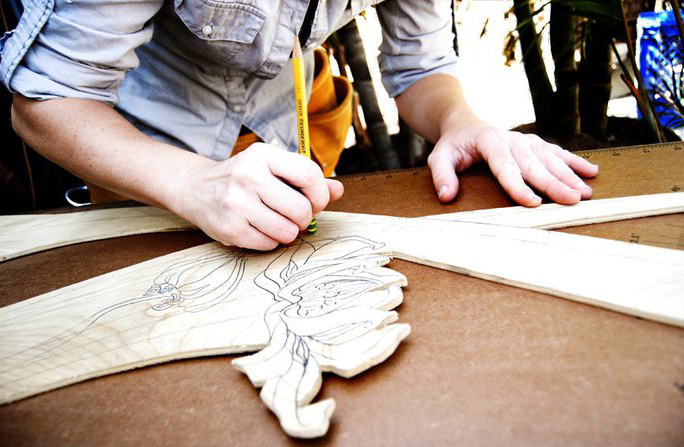 Hey there, I’m Lindsay Zuelich, of Wood Brain and I love all things wood. I look at all of my potential creations through wood-eye-goggles and power my creativity with a wood brain, hence the name. I've been creating with wood since I was a little girl tinkering with scrap pieces. Saw dust, wood shavings, and splinters run through my veins. I visualize what a design is going to look like even before starting the process of creating- this helps in my search for wood and brings every design to a reality. I collect wood from branches on the roadside and beach tide lines, and I am always looking for unique pieces to create with. Each portion of wood will only yield a limited amount of pieces to create with, making each item special in its own way. Being wood-friendly means being earth friendly, and I think I've got that covered (yes I do!) I love to give back to the wonderful trees that help support my business as a wood artisan. I recently donated enough money to be able to plant 250 new tree’s through the Trees for the Future organization. I plan to donate enough to plant 1,000 trees by this time next year. My reclaimed wood products are eco-friendly and no trees are harmed in my selective process of acquiring wood for my products, nor is any wood ever wasted. 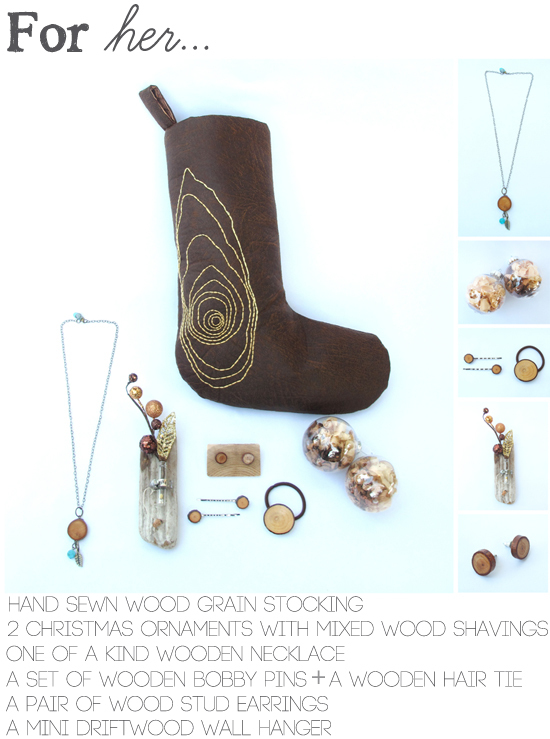 All the wood is utilized, even the sawdust, which is put to use in my home garden, and recently into a new jewelry line. I make hand crafted wood accessories for both men and women and even kids! My line of necklaces, earrings, bracelets, rings, belt buckles, money clips, cufflinks and key chains appeal to all ages and all walks of life. I also make distinctive one of kind planters from reclaimed wood with unique low maintenance drought tolerant plants. You can find my fun collection of wood goods at Crafted in San Pedro. I have a market stall there- A122. I’m open Fri-Sun from 11am-6pm and for the month of December from 11am-7pm. You can also find my wood jewelry line on Etsy! Lindsay, over at Wood Brain, has generously offered to give one lucky Sweet Lavender Bake Shoppe reader a choice of one handmade Christmas stocking filled with either Wood Brain for Men products or Wood Brain for Women products. Winning one is SUPER EASY!! 1. Required entry: Leave a comment here on the blog saying which stocking you would pick! 4. Like Wood Brain's Facebook Page and leave a separate comment on this blog saying you did so or that you already have! 6. Follow Wood Brain on Twitter and leave a separate comment on this blog saying you did so or that you already were! 7. 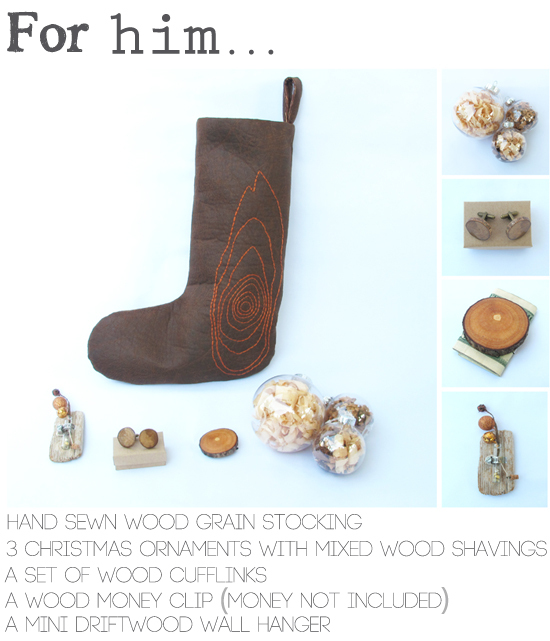 Tweet “Check out this neat handmade woodgrain Christmas stocking stuffed with wooden goodies over at @SwtLvndrBkeShpe 's blog! http://bit.ly/QNapww" and leave a separate comment saying you did so. Giveaway ends Friday, December 14th at 8am PST and I will announce the winner on this blog post! So make sure you come back and check to see if you won! Open to US residents only. One winner will be chosen using random.org. Winner has 48 hours to email sweetlavenderbakeshoppe@yahoo.com to claim prize and say which stocking they want! If prize is not claimed, a new winner will be chosen. Congratulations to Jane! You are the winner of the wooden stocking give a way! Please email sweetlavenderbakeshoppe@yahoo.com within the next 48 hours to claim your prize! 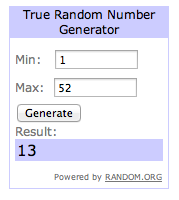 Another winner was chosen because the prize was not claimed! CONGRATS TO JULIE W! You are the new winner! Please email sweetlavenderbakeshoppe@yahoo.com in the next 48 hours to claim your prize!! Third time's the charm? Congratulations to number 13- CROCHETED IN LOVE! You are the new NEW winner! Please email sweetlavenderbakeshoppe@yahoo.com in the next 48 hours to claim your prize! I would pick the for her. That necklace is lovely! Would totally pick the "for her" package. Love your stuff Lindsay!!! Also, been a fan of Wood Brain on FB for quite some time! I have already liked Wood Brain on facebook. Awesome stuff! I would pick the "for her" package. I would love to win the Stocking for HIM, so I could gift it to my husband. Thanks! And I liked your Facebook page too. Both are beautiful, but I would choose for her. Both are beautiful, but I would choose "for her"
I would pick the stocking for her, though everything looks amazing! i like them both. but i would LOVE to win the "hers"
I would pick the one for him, to give to my love. I also liked on facebook! i would pick the one for him to give to my love. i also liked on facebook! Both are super adorable, but I would pick for "Him", love the money clip!! Thanks! "Liked" Sweet Lavender on fb, *and*, I must make those vanilla bean shortbreads today!! I'm pickin the for HER stocking! So amazing! AND liked the Lavender Bake Shoppe fb. Holy cow! Is it bad that I might pick the For Him for ME? I love the orange and brown stocking. And the contents. I'm in love with the blog and the chai sugar cookies are my new cookie exchange recipe. I've been searching for one that caught my eye and those definitely did!! Followed Wood Brain on Twitter! For her. Xmas shopping is done for my husband! I also Liked Wood Brain on Face Book!